Welcome to F. Miller & Co., steel fabricators, mechanical and electrical engineers. We service a diverse range of industries including Mining, Wine, Water Treatment, Energy and Chemical. 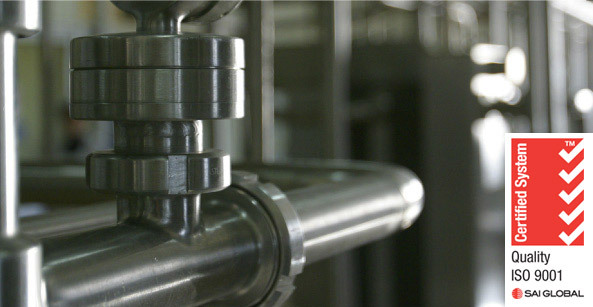 We specialise in plate and pipework in stainless steel, carbon steel, aluminium and duplex stainless steel. We have been ISO9001 accredited since 1999, and offer a complete design, manufacture and installation solution. Based in the Port Adelaide area, near major antiral roads, we are able to manufacture large items.